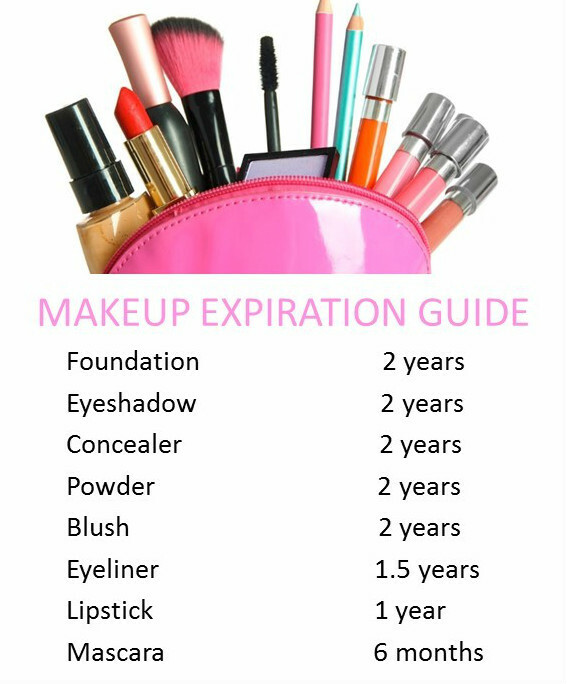 Did you know makeup has an expiry date? Well guess what, it does and I had no clue (lol). I find it extremely hard to get rid of old makeup because I'm obsessed with it and I like having them look all pretty on my dresser, but using expired makeup can be harmful to your skin. Over a period of time the consistency of makeup products starts to change and expired makeup begins to harbour bacteria. Using expired makeup on your skin can cause eye infections, blisters, a rash, acne, redness and various skin problems. Therefore, we should really try and not use makeup products after a certain period of time to protect our skin. So let's toss out those old expired one and gets some new ones. Below is a guideline for expired makeup. Thank you for reading my blog :) don't forget to like, follow and subscribe.